The Rev. Kenneth Tanner is pastor of Church of the Holy Redeemer in Rochester Hills, Mich. He writes for numerous websites and magazines, including The Huffington Post and Sojourners. Kenneth Tanner has been a guest on 8 episodes. My guest is Kenneth Tanner. He's the pastor of Church of the Holy Redeemer in Rochester Hills, Mich. He writes for numerous websites and magazines, including "The Huffington Post" and "Sojourners." We discuss the lectionary passages for the Ninth Sunday after Pentecost (B): Proverbs 31:10-31, James 3:13-4:3, 7-8a, and Mark 9:30-37. Episode 53: Who Builds The House? My guest is Kenneth Tanner. He's the pastor of Church of the Holy Redeemer in Rochester Hills, Mich. He writes for numerous websites and magazines, including "The Huffington Post" and "Sojourners." We discuss the lectionary passages for the Ninth Sunday after Pentecost (B): 2 Samuel 7:1-14a, Ephesians 2:11-22 and Mark 6:30-34, 53-56. My guest is Kenneth Tanner. 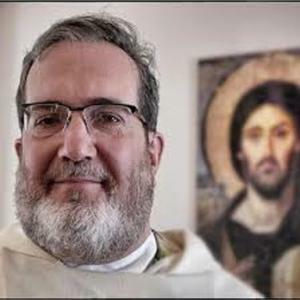 He's the pastor of Church of the Holy Redeemer in Rochester Hills, Mich. He writes for numerous websites and magazines, including "The Huffington Post" and "Sojourners." We discuss the lectionary passages for the Day of Pentecost (B): Ezekiel 37:1-14, Acts 2:1-21 and John 15:26-27; John 16:4b-15. My guest is Ken Tanner. We talk about the lectionary texts for the last Sunday after Epiphany (B): 2 Kings 2:1-12, 2 Corinthians 4:3-6 and Mark 9:2-9. My guest is Kenneth Tanner. We discuss the texts for the Fourth Sunday of Advent (B): 2nd Samuel 7:1-11, 16; Romans 16:25-27 and Luke 1:26-28. My guest is Kenneth Tanner. He's the pastor of Church of the Holy Redeemer in Rochester Hills, Mich. He writes for numerous websites and magazines, including "The Huffington Post" and "Sojourners." 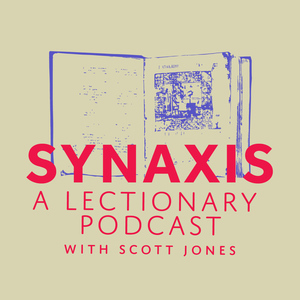 Wediscuss the lectionary passages for the Sixteenth Sunday after Pentecost (A): Exodus 17:1-7, Philippians 2:1-13 and Matthew 21:23-32.